Coming to you live, with the next crazy 3D idea: a chalkboard! 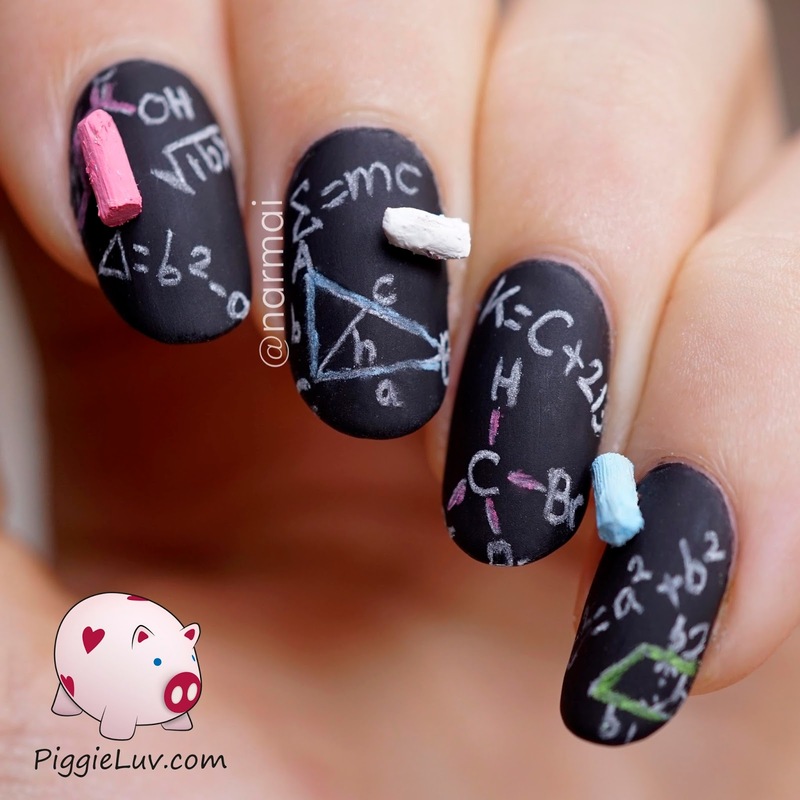 This was actually suggested to me by my friend Elizabeth from By My Fingertips when she saw my cork board nail art. Her idea immediately formed an image in my head so I knew exactly how to make this. Come check it out! 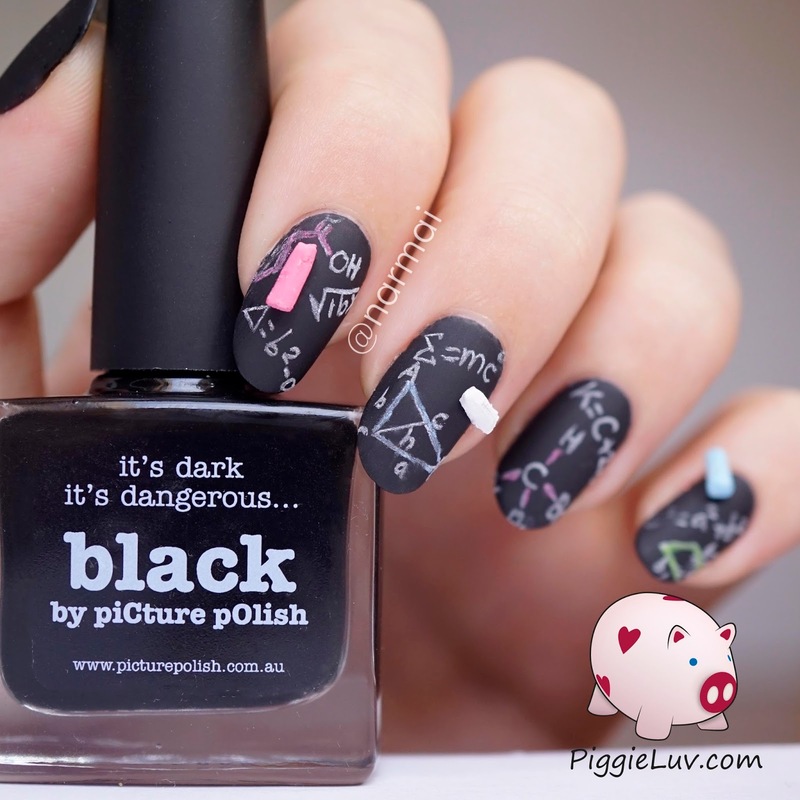 The background color is Picture Polish Black that I mattified using OPI matte top coat. I drew on it with actual chalk! It didn't really hold up that well but that wasn't the point of this mani anyways, I wouldn't walk around with stuff sticking up out of my nails, contrary to popular belief. Just don't ask me what the scribbles mean because I just copied it from a few things I found online. 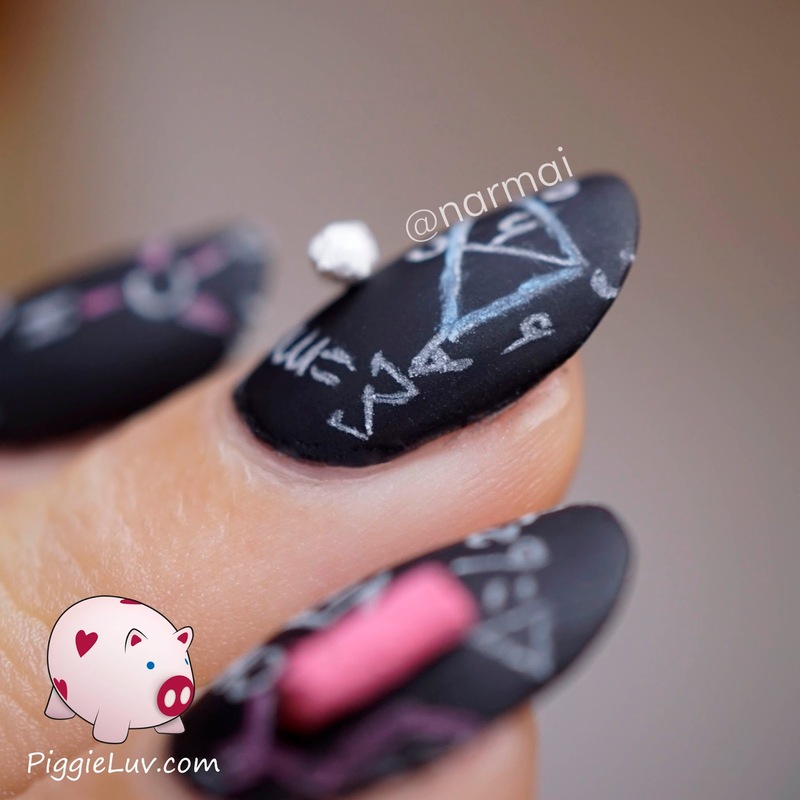 I looooove these little pieces of chalk! They're made of tooth picks that I cut, filed into shape, and painted with acrylic paint. The paint dries to a matte finish so it really looks like chalk! Do you ever have to use the toilet really badly while you have wet nails? I know you must have some funny stories... please tell me in the comments below!